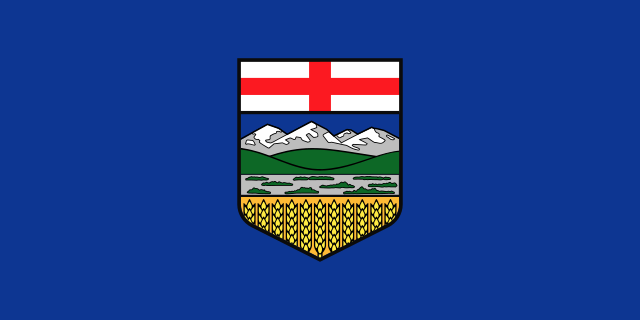 Français : Drapeau de l'Alberta. 08:55, 23 May 2011 1,000 × 500 (109 KB) Zscout370 Basic size, some code fixed. Manual is page 50-52 of http://corporateidentity.alberta.ca/downloads/GoaCIM-1.0-Brand.pdf and 63.63% is indeed 7/11ths as required by the EMBLEMS OF ALBERTA ACT (E-6, RSA 2000). 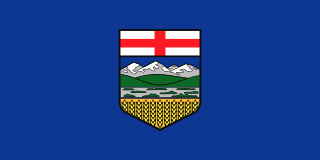 03:59, 23 May 2011 396 × 198 (114 KB) Magu2k Updated to correct appearance including size of crest and colors per Alberta Corporate style guide. 23:26, 4 August 2008 992 × 496 (132 KB) Svgalbertian Reduced file size. 06:51, 12 December 2007 992 × 496 (549 KB) Svgalbertian Colour has been adjusted using information from http://corporateidentity.gov.ab.ca/ (C=100 M=66 Y=o K=2).